Do you know that you can make a backup of all the content your Facebook posts, photos, Videos, Comments.Read this post to know how to dot?. 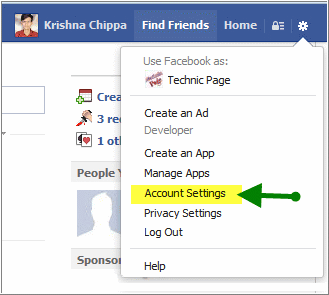 It will help you when your Facebook account get hacked or if you are planning to delete your Facebook account permanently for any reason. Complete List of your Facebook Friends. 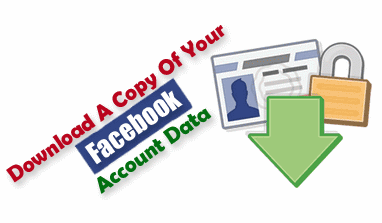 Complete Photos that you uploaded to your Facebook account. Complete Videos that you uploaded to your Facebook account. Content Shared by you and your friends on your Facebook timeline. Complete Messages that you received and sent. All the Comments you made on you and your Facebook friends photos, status, etc..
Read: How to Add All Friends To Facebook Group . Downloading A Copy Of Facebook Information. Click the Settings icon at right corner of the screen. 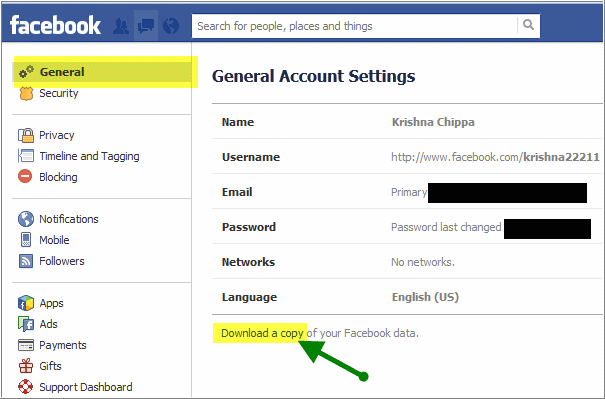 In General settings Click on the download a copy of your facebook data link. You will see the webpage like in the below pic. Click on Start My Archive button. A conformation dialog will appear. It will take few minutes depending on the size of your data. For larger profiles it may take some hours. 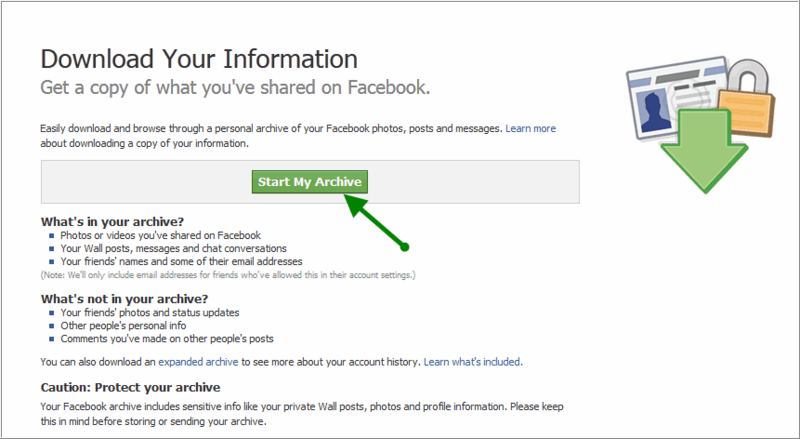 After your archive is ready you will get a conformation email form Facebook. You need to answer some security questions to know the Facebook that you are the original person of the account. Answer the security questions correctly else you cannot get the download link.